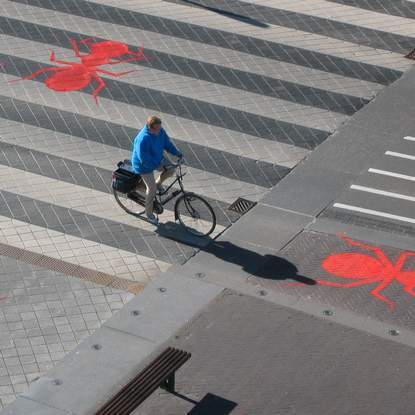 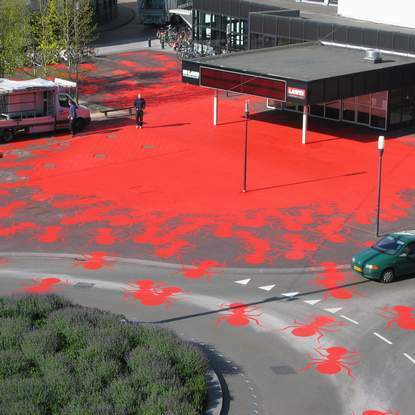 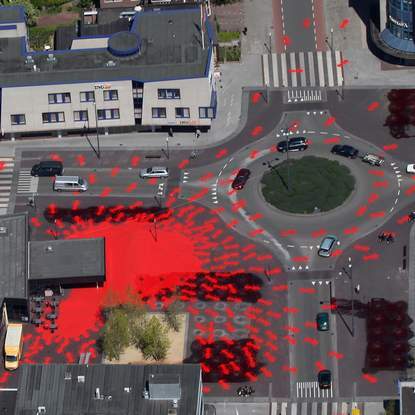 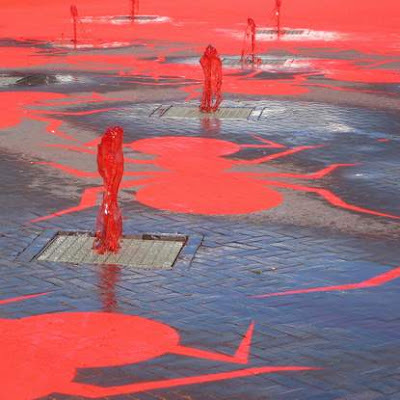 Earlier we have seen the creations 'Art-Eggcident' and 'Urban River' by the Dutch artist Henk Hofstra and now we bring to you his latest project work, 'Ants In The City Of Drachten'. 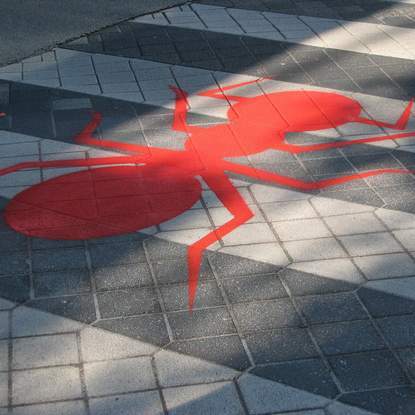 About 500 ants came together on Wednesday, May 19 in front of the theatre De Lawei. 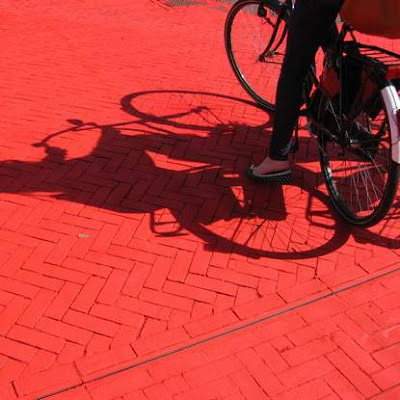 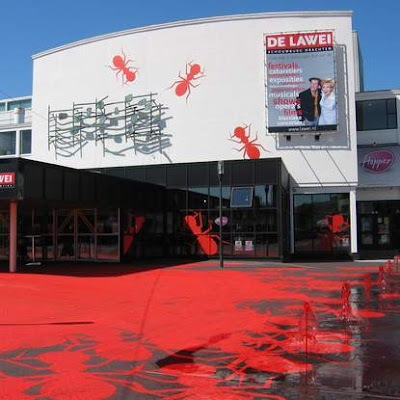 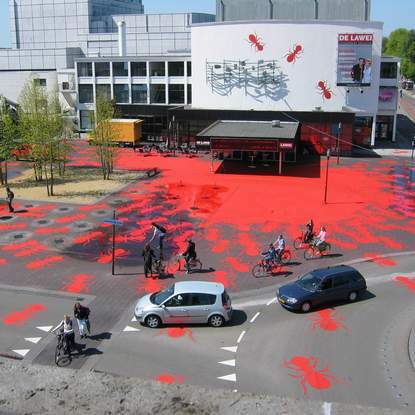 Hofstra sprayed hundreds of ants that spread in the city of Drachten, each measuring three meters in length and two meters wide to celebrate the 50th anniversary of the theater. It's a gift of Rabobank and Schroor Beheer. Thanks Hofstra for the tip.